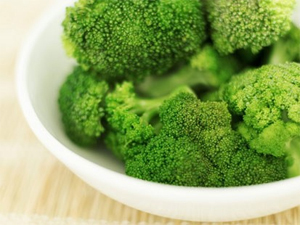 A novel study highlights the benefits of consuming broccoli, saying that it might reduce the odds of abnormal cells that divide without control, which can invade nearby tissues or spread through the bloodstream and lymphatic system to other parts of the body. Researchers from Institute of Food Research, at Norwich Research Park, UK, found a chemical called sulforaphane in broccoli to have properties that fight prostate cancer [abnormal cells that divide without control, which can invade nearby tissues or spread through the bloodstream and lymphatic system to other parts of the body. ] . Researchers conducted experiments on human prostate tissue and prostate cancer from mice to understand the gene that causes prostate cancer. They also aimed at understanding the functioning of the cancer fighting chemical sulforaphane. According to researchers, sulforaphane works together with cells lacking a key anti-tumour gene PTEN to fight against prostate cancer. “PTEN is a tumour suppressor gene, the deletion or inactivation of which can initiate prostate carcinogenesis, and enhance the probability of cancer progression,” study-leader Professor Richard Mithen was quoted by WebMD as saying. Study showed that sulforaphane acted differently depending on the presence or absence of PTEN gene. It thus found that sulphoraphane did not affect cancer growth in cells with normally functioning PTEN. However, it caused the tumour cells with defective PTEN gene to become less aggressive along with enhancing their survival. “A diet rich in fruit and vegetables combined with a physically active lifestyle gives you the best chance of protecting your long-term health,” added Holmes. The research appears online in the journal Molecular Cancer.